There are salty sea dogs out there who like nothing better than to feel the wind in their hair and sea spray in their faces from the heeling deck of a sailboat on a close reach. There are many others, however, who prefer to combine the spirit of sailing with the comfort of motoring. 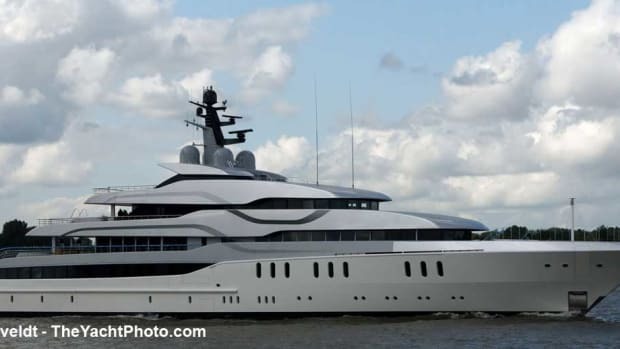 Motorsailers cater to just this purpose, but the market offers little in the way of choice below superyacht status, and what is available tends to be ungainly, if not downright ugly. Enter the Silent 76, a fiberglass sloop of just over 23 meters (76 feet) with head-turning exterior styling and daring interior design that Admiral hopes will fill the market hole. 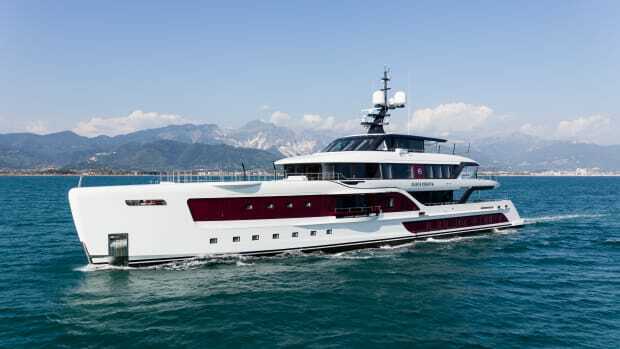 Yachts International put Gigreca, the first Silent 76, through her paces in a sea trial off the Tuscan town of Carrara, Italy, the production base of The Italian Sea Group. Light airs combined with a full fuel tank meant an exhilarating sail was out of the question, but in line with the yacht’s motorsailer vocation, the conditions provided an opportunity to combine engine and sail power. With naval architecture by French designer Jacques Fauroux, Gigreca’s sail plan is designed for easy handling with a fully battened main and self-tacking jib from North Sails, combined with a carbon fiber in-furling boom and aluminum mast by Maxspar. A furling Code 0 or overlapping gennaker would improve performance while still keeping things simple, and there is the option of adding two short travelers and an extra pair of Harken winches next to the twin helm positions. Admiral says that with 25 knots of breeze the boat can make 10 to 11 knots downwind, but with wind speeds barely above 5 knots, we were not going anywhere fast. Fickle winds are common in the Mediterranean, hence the choice of engine configuration for the Silent 76. 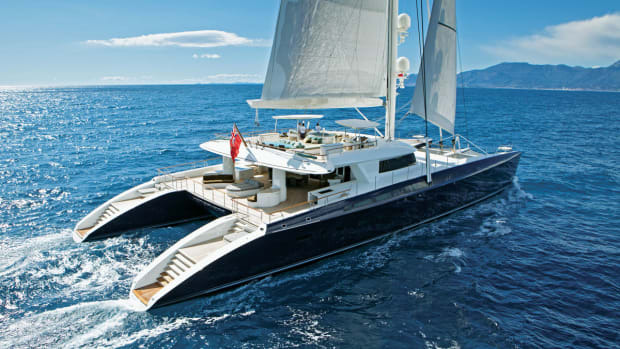 Unusual for a sailboat, she is fitted with twin 150-horsepower Yanmar diesels for a maximum speed of 13 knots. Using one or both engines, we were able to create sufficient apparent wind to prevent the sails from flagging and keep the boat more stable. Moreover, the two engines provide a reassuring safety margin in case of technical failure. 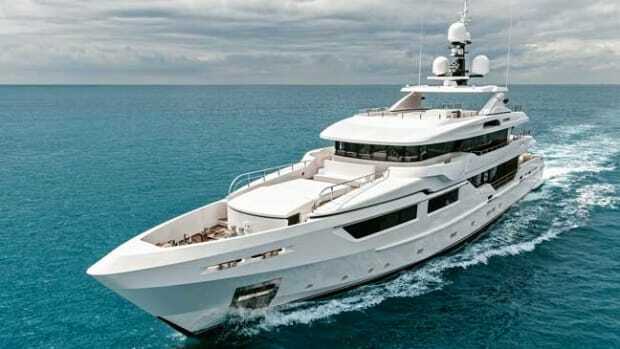 Admiral has used the same noise and vibration insulation systems it employs on its larger motor​yachts, and Gigreca is whisper quiet, even at top speed. She also has a spacious tender garage with a hydraulic transom that folds down to create a swim platform, and space to house a water jet-powered RIB of up to 10 feet and a personal watercraft. A smaller garage is an option that allows more interior living space. 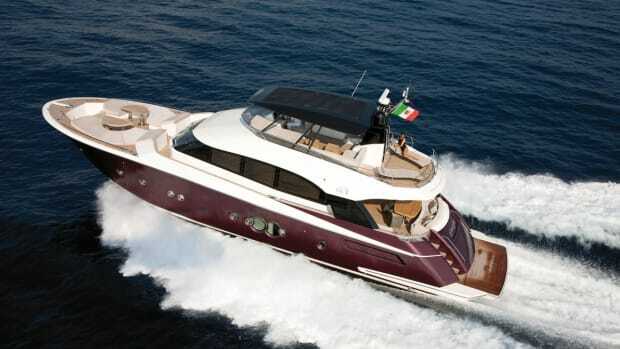 Undoubtedly, the most dramatic feature of the exterior styling by Debenedetti & Fiordi in conjunction with Admiral is the aluminum-and-glass hardtop with a central bimini. Hardtops on larger sailing boats are not unknown—37.5-meter (123-foot) Escapade designed by Ed Dubois and delivered last year by Fitzroy Yachts in New Zealand is a recent example. On a 76-footer, some might question the aesthetics, yet the feature does have a certain logic, with thermo-reflective glass and additional side awnings for protection against the elements. Clients can modify the design and structural material of the hardtop—carbon fiber instead of aluminum, for example—or replace it with a traditional bimini and spray hood. Dedicated sailors might also question the sunpads on the coachroof under the stylized vang cover, and those on the foredeck. The former is a touch precarious and the latter out of bounds when under sail. 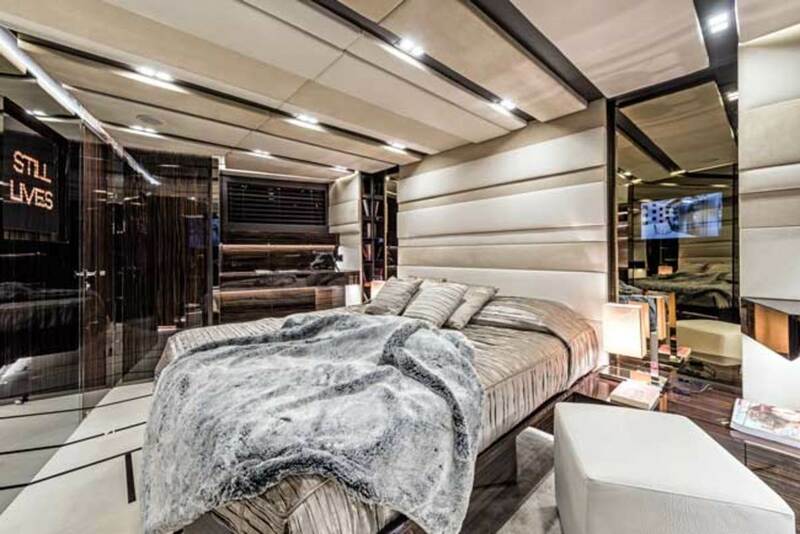 But it is belowdecks where Costantino’s mission to provide “all the amenities and comfort of a motorboat” is most apparent. Instead of the forward galley arrangement most common to yachts of this size, Gigreca’s owner combined it with the salon to create an open-plan layout amidships. 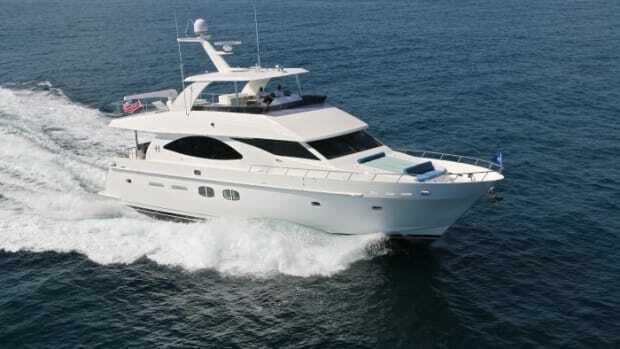 This makes sense for a family-oriented boat that will often be skippered by the owner (a two-man crew cabin in the forepeak is accessible from on deck), although the nav station tucked into a corner of the galley appears an afterthought. 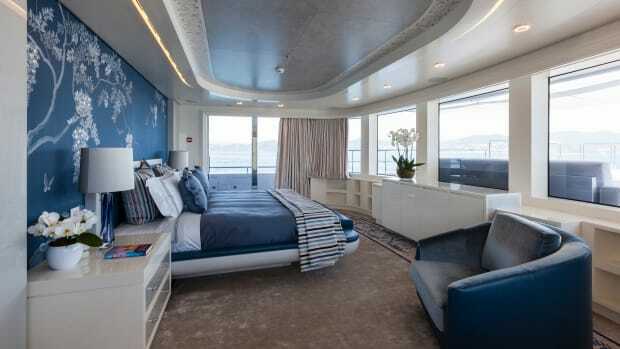 The layout further provides for four en suite cabins: a full-beam master cabin aft with good headroom despite being under the cockpit, two guest cabins (one with bunks and the other with a queen-size bed) and a VIP cabin forward. At least three other layout variations are offered, including a three-cabin arrangement with a forward galley and crew dinette that has interior access to the crew cabin. 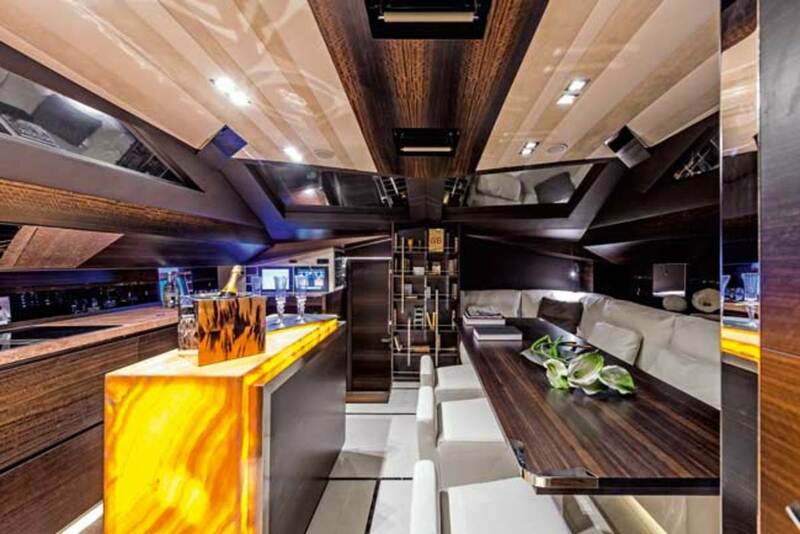 The interior design by Admiral is sumptuous and draws on such exotic materials as backlit onyx, Macassar ebony and eucalyptus veneers, white leather floor tiles, sand nubuck leather for the headliners, polished stainless steel accents, palladium foil on the ceilings and an ultra-lightweight stone veneer called Slate Lite for the galley and bathroom surfaces. Some of these materials may not hold up to the wear and tear of life on a moving sailboat, especially with children on board. The total absence of fiddles to prevent spillage or breakage is another indication of the motoryacht-style interior, although the design can be personalized to suit any client brief. 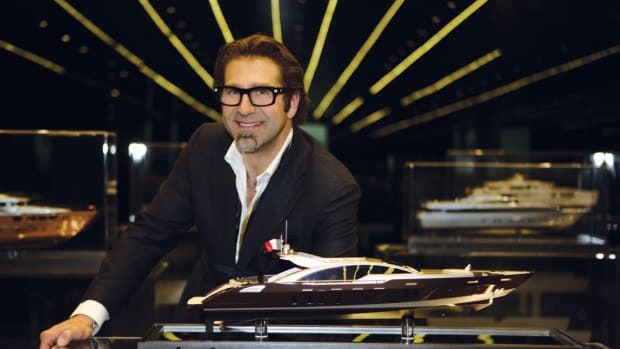 Since acquiring the Admiral and Tecnomar brands, Costantino has confounded expectations by redesigning the entire fleet, moving into new headquarters and launching no fewer than six superyachts last year with another six of up to 55 meters (180 feet) currently in build. Voyaging into a new market with his first sailboat is just the latest installment in an ambitious expansion program that looks set to continue. Admiral presented its Wave range of super sailing yachts from 38 to 60 meters (125 to 197 feet) at the 2014 Monaco Yacht Show. Developed in collaboration with the French naval architect Philippe Briand, the aluminum Wave 38 is likely to be the first model to be built and represents a significant step up from the composite Silent 76. Like the Silent 76, the Wave 38 will have a hardtop with a sliding bimini and retractable glass windows. 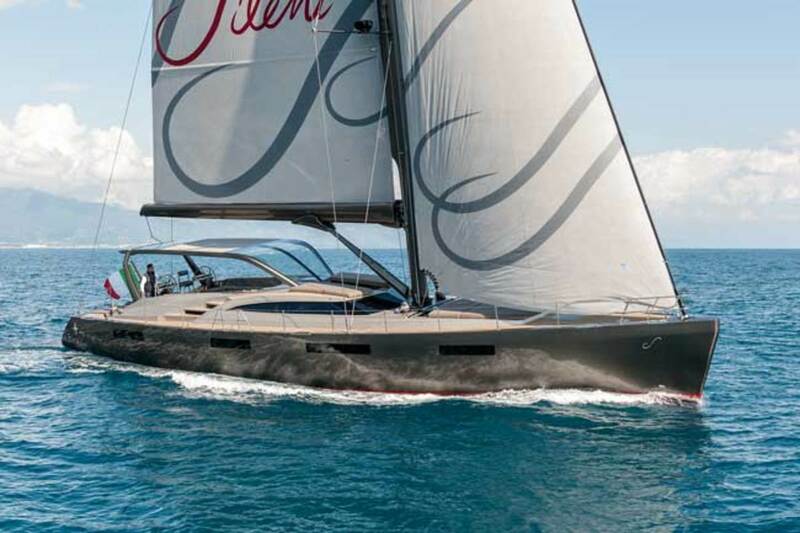 Briand also liked the carbon fiber cover that adds a touch of panache to the utilitarian vang on the 76-footer and has designed a variation for the aluminum series. 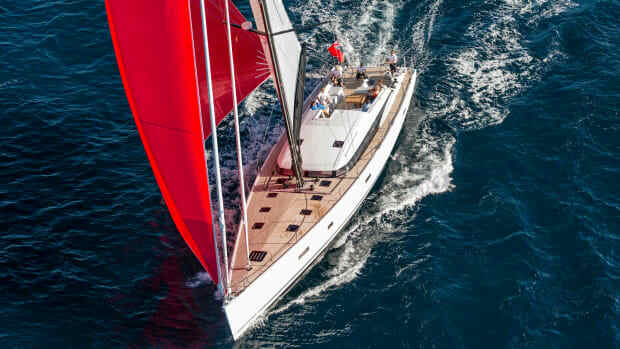 But while the Wave 38’s smaller cousin caters to skipper-owners looking for motorsailer comfort rather than sheer boat speed, she is designed to appeal to the new breed of cruiser-racer owners with a carbon fiber mast and in-furling boom, and a high-performance sail plan. To this end, Briand (who designed, among other race boats, the record-breaking super maxi Mari Cha IV) came up with a beamy hull amidships and wider aft section that recalls the slippery triangular shape of today’s most competitive ocean racers. Besides being fast, the hull shape provides ample interior volume and deck space. —J.R.